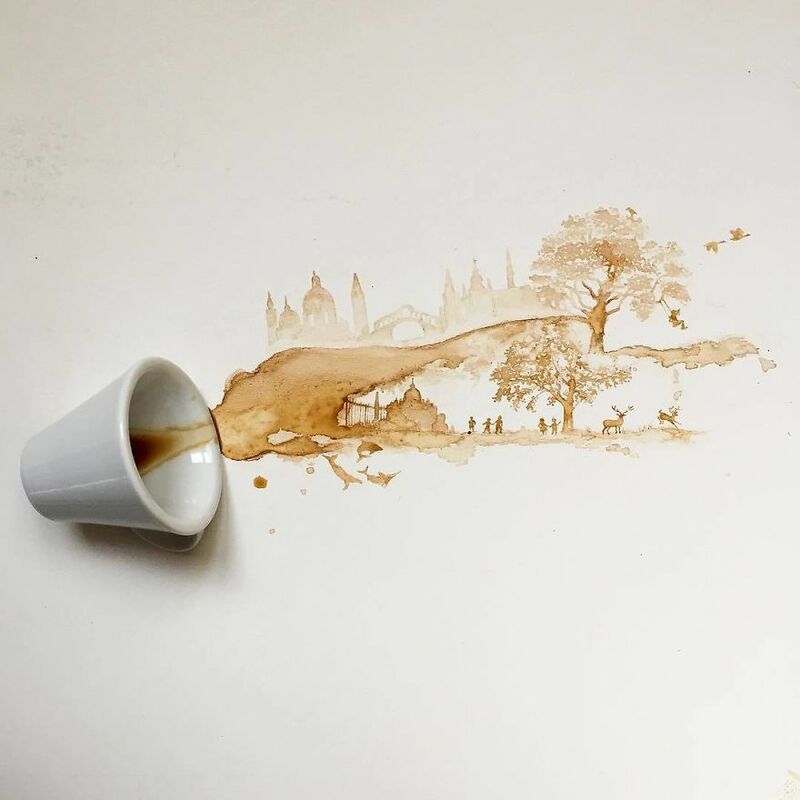 Home Pictures	This Spilled Coffee Has Been Turned Into Incredible Art. 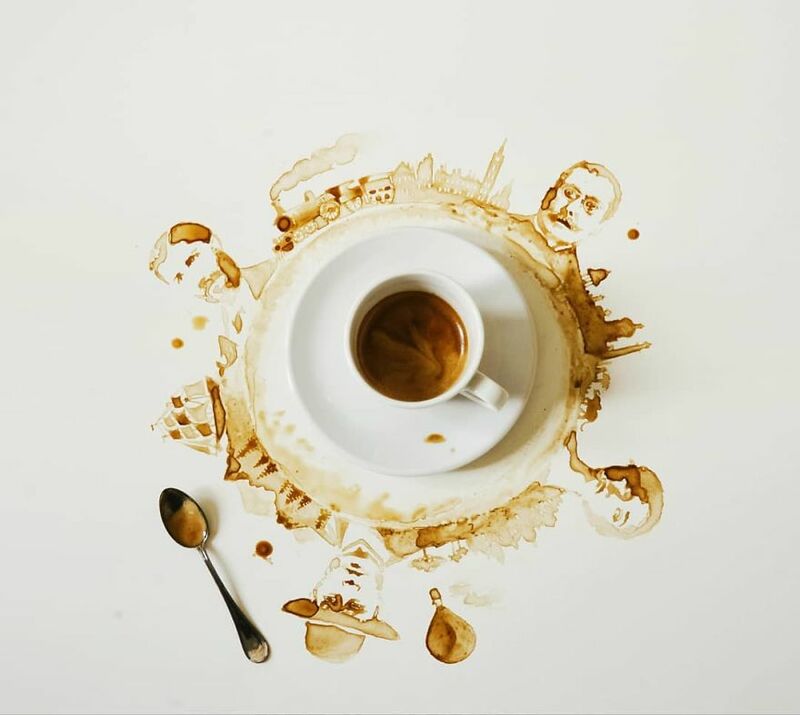 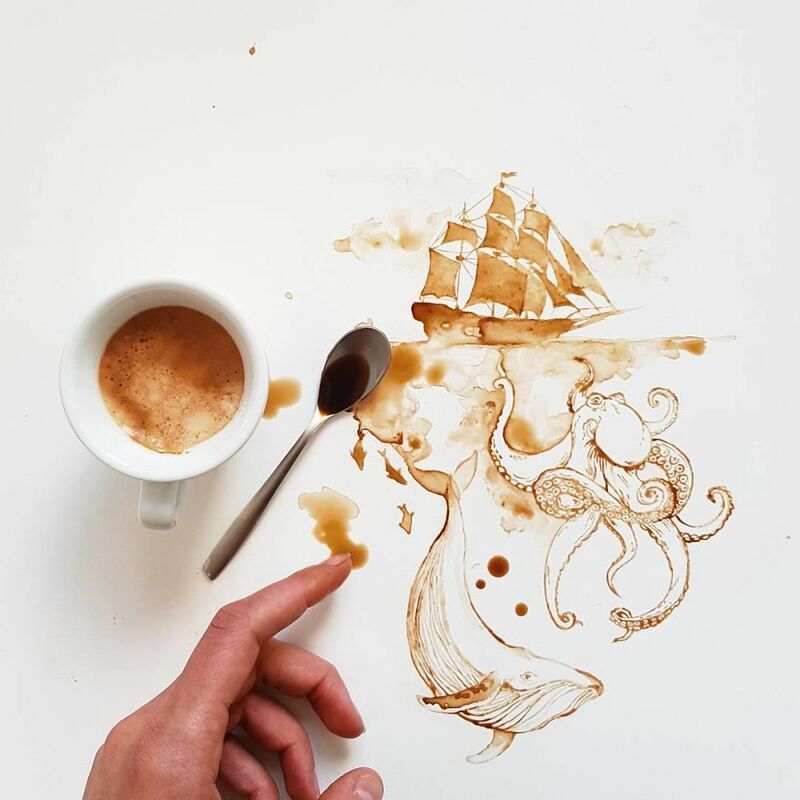 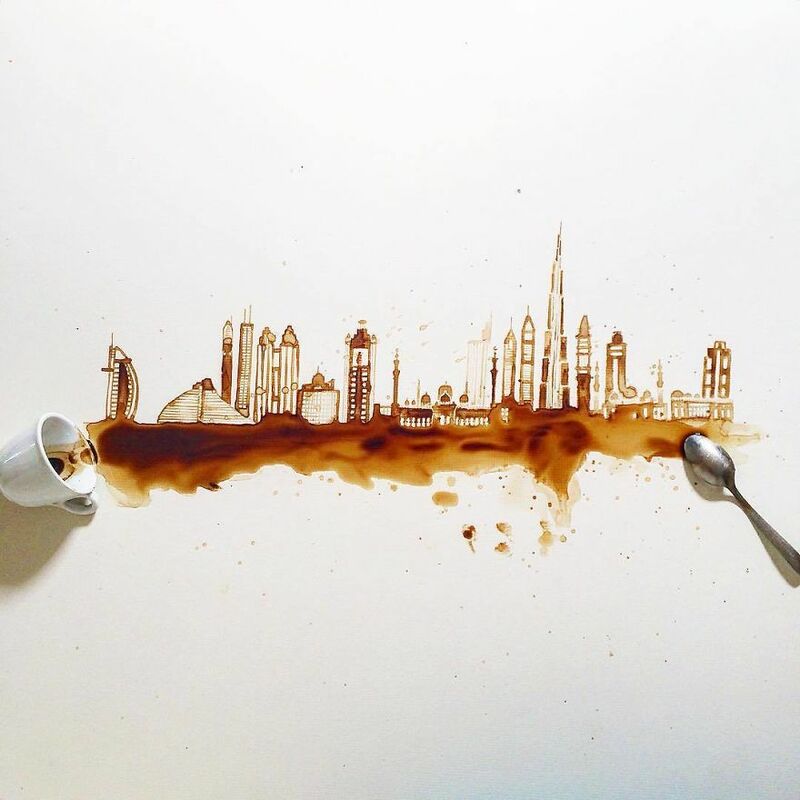 This Spilled Coffee Has Been Turned Into Incredible Art. 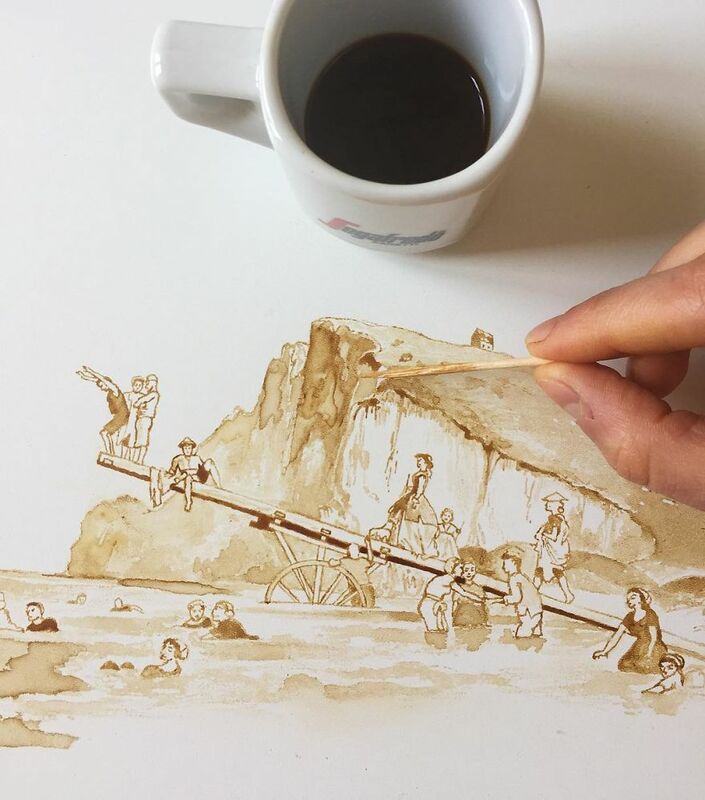 Most people think coffee is simply for drinking, but Italian artist Guilia Bernardelli has discovered a creative way to use the drink. 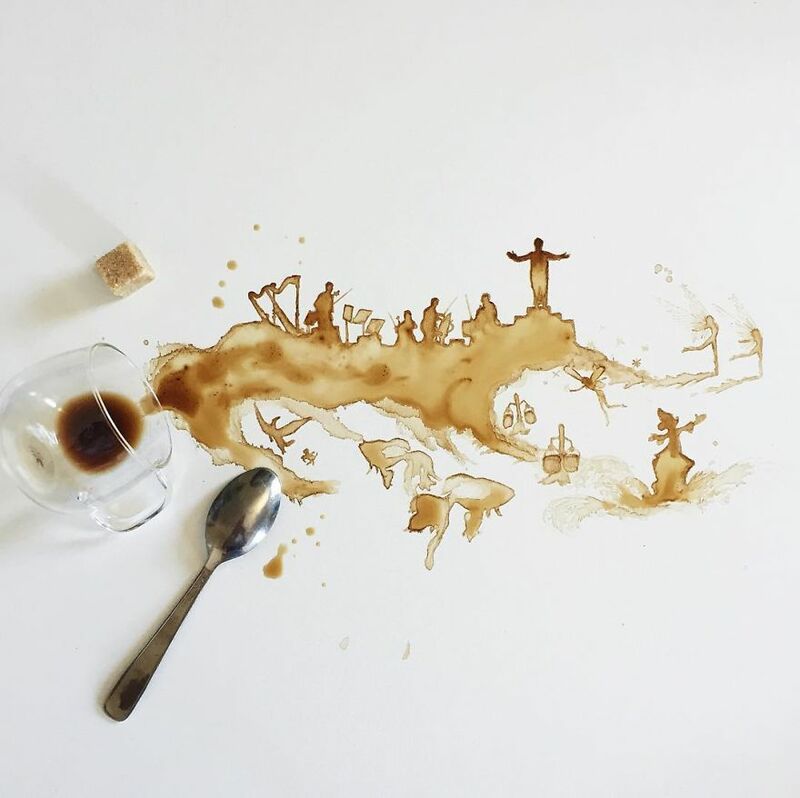 Using leftover food, such as ice cream and coffee, she creates incredible art turning a mess into a masterpiece. 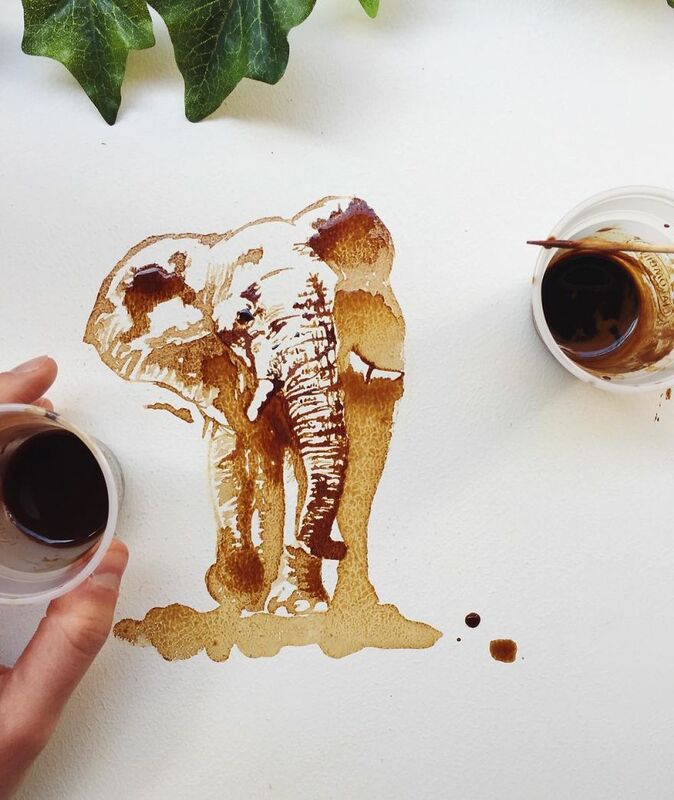 Surprisingly, the artist never plans her creations in advance. 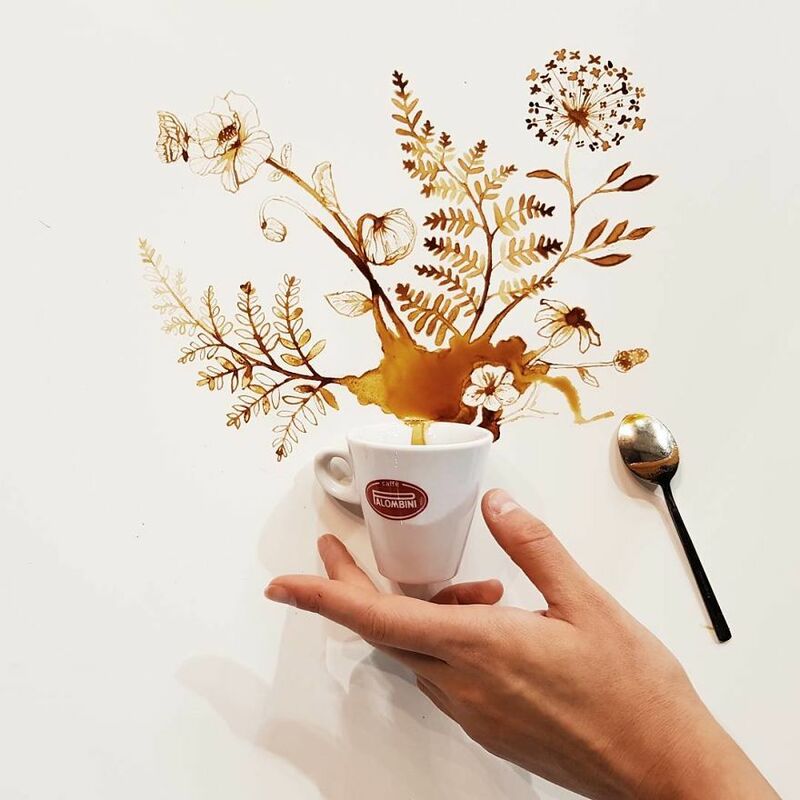 Guilia says: “I decided to replace the brush with what nature offers us, such as leaves, fruit skin or just food”. 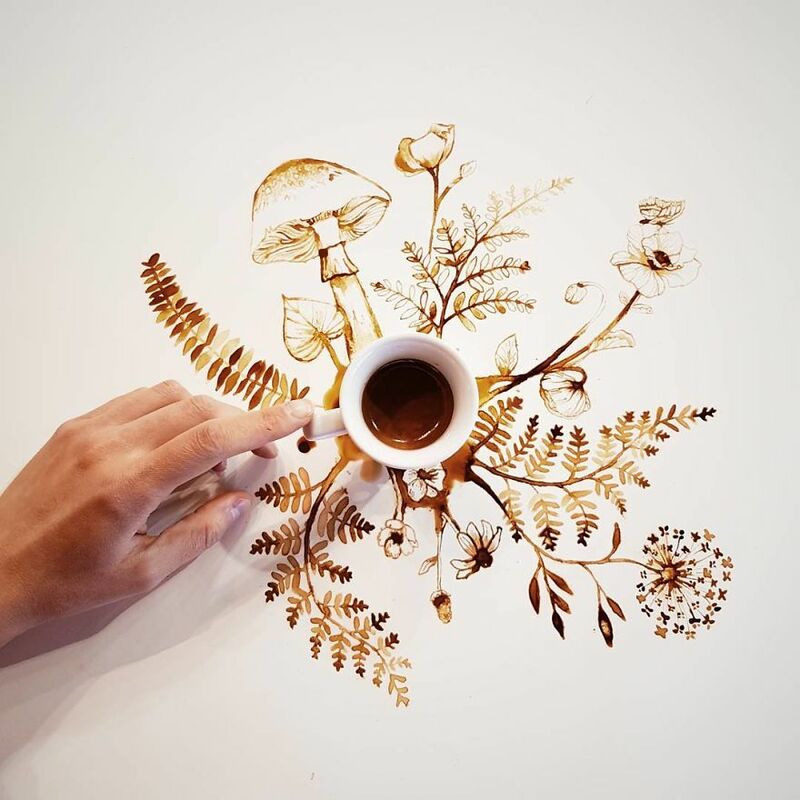 These Paintings Look So Real You Might Confuse Them As Photos. Nine Orphan Tiny Ducklings Have Been Adopted By A Labrador, And The Pics Are Adorable. 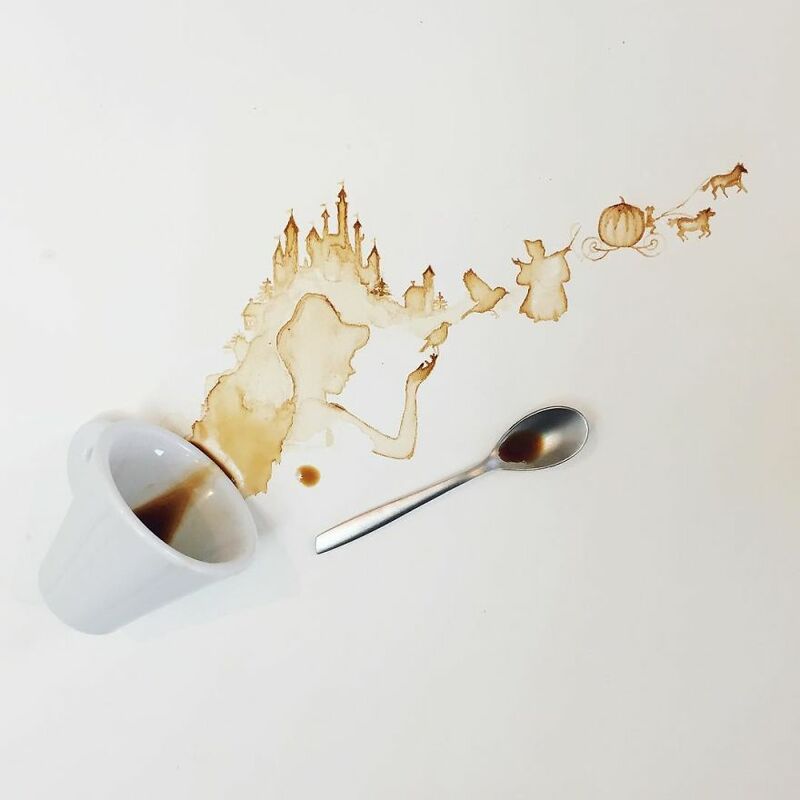 Artist Turns Strangers Into Pixar Style 3D Characters.